Prior to its redevelopment, Finn Court was a single storey flat roofed dwelling of 'modern' late 20th Century style, circa 1970. The building was stark and uninviting with an unpleasant aspect of garage and forecourt towards the road. 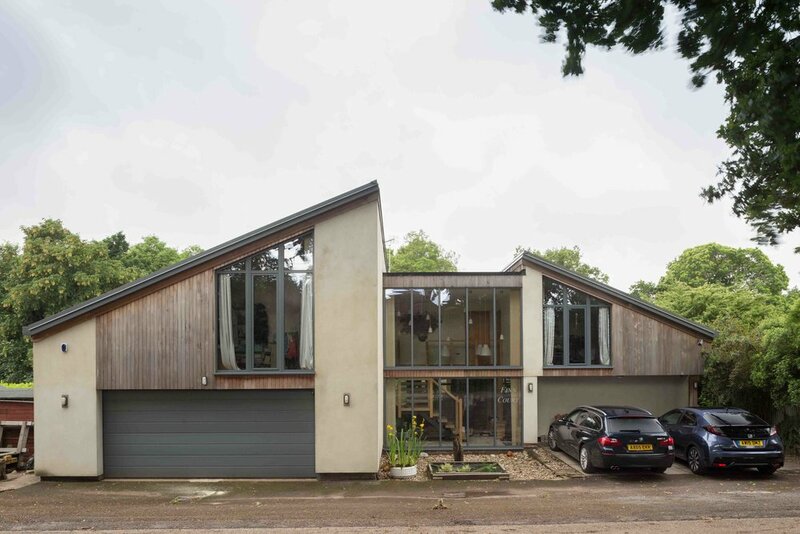 The revised design by Patrick Allen & Associates Ltd added a first floor to the existing property, with mono-pitch roofs introducing a more exciting aspect to the frontage, creating a welcoming home. 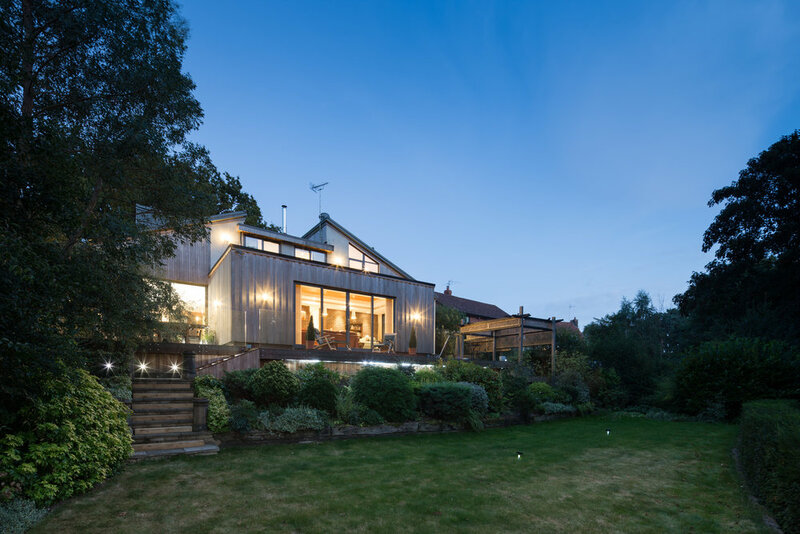 The existing building already had a living room projection to the rear, which has been re-clad with vertical cedar cladding and now appears as if a contemporary single storey extension to the main house. The joinery has been replaced throughout with grey coated aluminium and the materials have been updated, softening the previously harsh exterior. The design enhances the street scene, making a much more positive contribution to the site and surroundings. The pitch of roof and scale is in keeping with the surrounding properties. The design utilises the 'modern' style of the existing building and enhances this by retaining the character and avoiding any 'traditionalism'. The unpleasant dull brickwork has been covered up with render and the rooms have been opened up with new windows and glazed doors allowing light flood in.